Show your family's support for the Bowlus Fine Arts Center. Remember a special friend or family member who has passed. Honor a graduate who has taken music, theater or art classes in the Bowlus. Recognize the Bowlus as part of your class reunion. Let others know that your club or business supports the Bowlus. Recognize an employee or volunteer for their dedication or years of service. Do you have someone on your list who is hard to buy for? 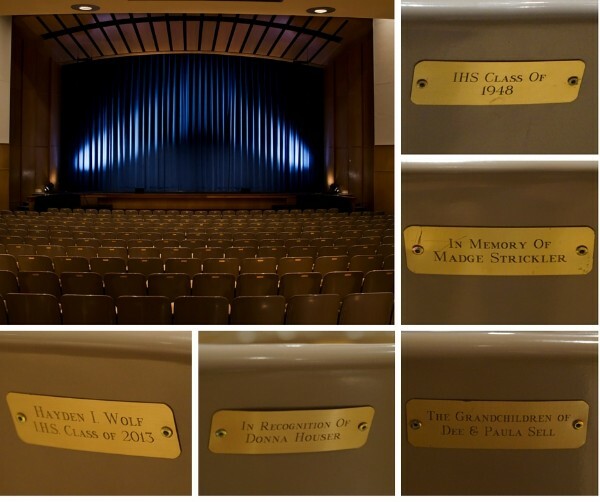 Honor them with a chair plaque! What other ideas do you have??? Return to other ways to support us!